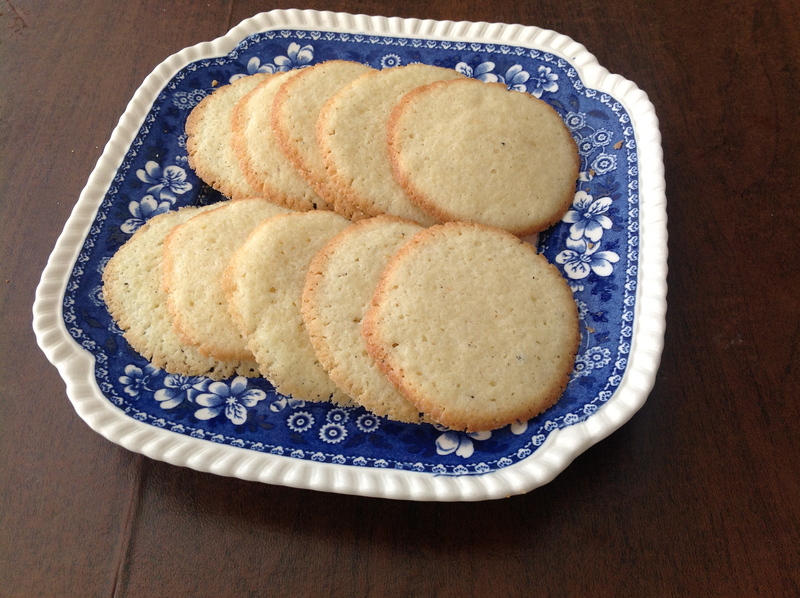 Shrewsbury cakes were made in England from at least the 17th century, and were common in early American cookbooks. I followed Richard Sax’s recipe in Classic Home Desserts. His was similar to one by Hannah Glasse (The Art of Cookery, 1747), except that he used nutmeg instead of rose water. I had read that rose water was popular in colonial times, and decided to use it for authenticity’s sake. What a mistake — the cookies tasted like perfume had spilled all over them. I should have known that Sax, a master baker, knew what he was doing. I tried again using nutmeg, with good results. 1. In a small bowl, beat the butter until light. Gradually add in the sugar and nutmeg or mace and beat until light and fluffy. Beat in the egg, then add the flour and beat just until blended. 3. Preheat the oven to 350°F. Butter four baking sheets (or two sheets twice). 5. Cool on baking sheets for 2 minutes, then transfer to a wire rack and cool completely. Store in an airtight container. 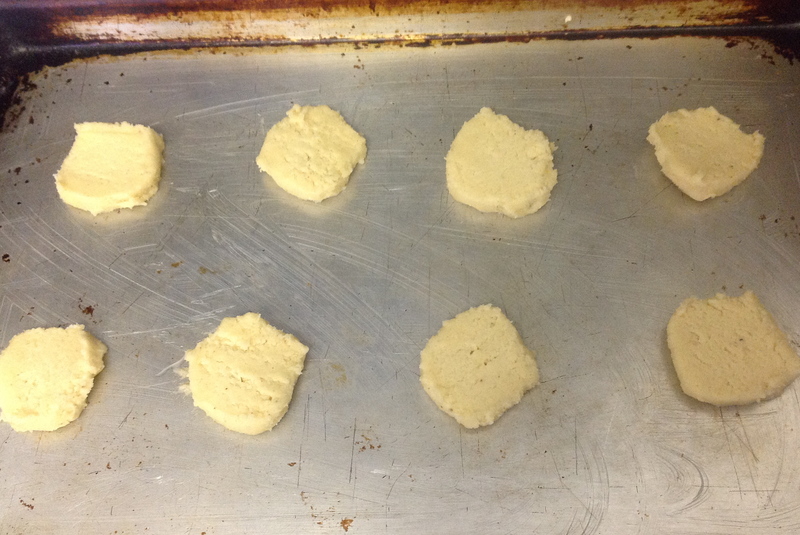 This entry was posted in cookies and tagged Cookie, Hannah Glasse, richard sax by revolutionarypie. Bookmark the permalink. It’s not so bad if you use a bit less rose water! I made Shrewsbury Cakes a year or so ago and they were delicious! I see that your recipe is quite different from what I followed, Elizabeth — it has more flour, for one thing. I’ll have to try it sometime. But I wonder now if rose water varies in strength, as even a teaspoon or two was too much for me! I have been searching for this recipe for years. These were my grandfather’s (Burling Duffield Prince) favorite cookie. His family came over on the Mayflower and now I am assuming they brought that recipe with them! When my mother passed in 1977 my sister took all her cookie recipes and, since she didn’t like the shrewsbury cookies, she threw the recipe out. I had searched the internet numerous times and every recipe I saw I knew just wasn’t right. 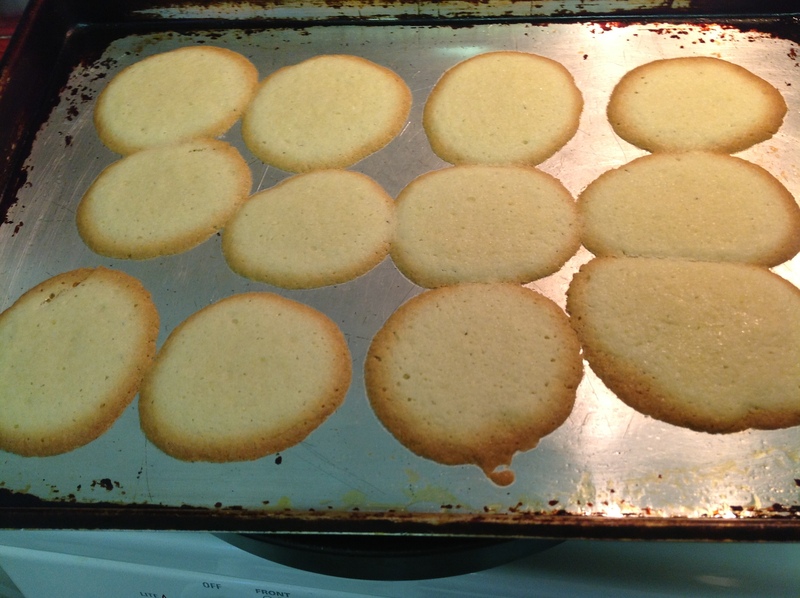 I made the cookies with your recipe this evening and this is the recipe! Thank you. What a great story, Kathy, and I’m so glad you found the recipe at long last!